Our Plumbing, Gas, Boiler, Heating, Roofing services are available everyday from 7am-10pm and every week during the year. We strive to provide the best quality of work possible for all our customer therefore all works we carry out is fully insured and guaranteed. Emergency Property Maintenance Services. 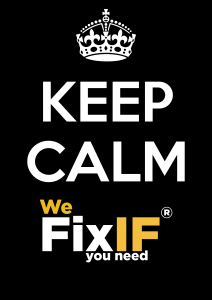 FixiF Emergency Plumbers, Gas engineers and Roofers in Your City. To help you in deciding what to look out for in a plumber and roofer, here are some of the traits of a good plumber and these also hold for a good roofer as well. A local roofing and plumbing service always makes the best option, but unlike the rest of them, FixIF is a EMERGENCY PLUMBING AND ROOFING SERVICE. It is advised to go for a local service when in search of affordable service that will deliver a good job. To get a good roofing and plumbing service, you should check if the firm has an established business in the area you are, and also try and get referrals from neighbours and friends that have used these service before or recently. Don’t assume all local service as a good means of having a good service. These are some roofing and plumbing services that offers guarantee on their job, but over time they will disappear, this is why it is good to make use of the service that have been working in your vicinity for a long period, because they will have satisfied customers in that area. A good and affordable roofing and plumbing service should have a liability insurance of his workers for compensation purposes sorted out. This can be done by checking out their certificates to verify if they have the liability insurance in place.Other way is to place a call across to the insurance company to confirm the validity of the insurance and if they have applied for the services. The reason why a good roofing and plumbing service should have this insurance is because when your home is being worked on, you are assured against any damage that may occur during the working process of your house. Also the safety of the workers will also be checked because when injury occur they will be sorted out by the insurance company. For the fact that they offer cheap service does not mean you wont check the quality of service delivered. After comparing the prices, the services should also be compared as well. Get services that are customized to suit your needs and requirements. Don’t just go for services that provides the lowest price without a guarantee for the job done. Both should go together. To ensure a quality job, make sure that the job description is well communicated and you have to be cleared about the expectations so you can check when the job is done if it was done to specification. Don’t be slack when you have finally given out the job, always follow up to ensure they are following the job as supposed.